Investing is committing money to something which will give you additional returns or profit. Laying down money now to receive more in future – Warren Buffet. Today we’re looking at some common investment vehicles available. Most of them you can start with any amount of money once you’ve done your research, others will require some high capital investments. This is only a guide and some research I’ve done personally, and I’m no financial expert so please speak to a financial advisor for a more tailored and detailed approach to apply to yourself. Investing is working smarter, not necessarily harder. Its really about the application of knowledge, rather than just gathering that knowledge. Investing is setting aside money for you passively that will be making you more money without actively working on it. – Stocks : (also known as shares or equity) buying a part of a corporations assets or earnings i.e. buying stocks in Google or Facebook means you’re buying into their assets or earnings. These can be very profitable and one of the most lucrative investment vehicles used by investors. Advantage: If you buy into successful companies, as they appreciate in value, so will the value of your stocks. If you’re lucky enough to get firms that pay out dividends, then even more returns! Downside is, if the company declines in value or goes bust, then your investments will follow suit. During the financial crisis, a lot of investments in shares were lost due to a lot of companies going bust. – Bonds : Debt investing. You loan some money to a corporation/entity and they borrow that money for a fixed period and then pay you back at the maturity date with interest accrued. Pro: As you’re the one lending money to a borrower, they pay you interest which can be a good source of passive income before the whole ‘loan’ is paid back. Con: They are not as profitable as other investment vehicles being that they offer lower returns and higher risks if the borrower does not pay back the loan. – Mutual funds : A pool of funds collected from various investors to invest in stocks, bonds, securities etc. Diversification here makes it less risky and they are typically managed by fund managers who do all the day to day running and managing. It’s a good source of investment for beginners who have no clue where to start but downside is that the fund managers fee can sometimes eat into your returns if you don’t check well for the right ones. – Exchange traded funds (ETFs): A financial instrument that can easily be converted into cash; it tracks a basket of funds similar to mutual funds. The difference is that it is actively traded on a stock market and so has a share price. It owns the underlying assets and coverts them into shares. Because its traded on the stock market, investors can get dividends like they would a common stock. Again, also good for beginners with not a lot of capital, but commission and fees can eat into returns. – Real estate : Buying a property and putting it out for rent. The owner covers the mortgage cost, taxes and any maintenance. Ideally the landlord would want to charge rent that covers most or all of the costs they incur as well as a profit on top. Pros and Cons: Can be a very lucrative source of income once you get the hang of it but initial capital is very high and so not freely or easily accessible. Fixed costs and maintenance costs may also be high, depending on where you buy. Your investment is an asset and so will normally appreciate over time. However, cash flow issues can quickly arise and make you lose money if a property is vacant for too long. Have a plan and strategy that match your goals – long and short term goals should be clearly defined and then use that to build your portfolio with your risk tolerance. If thinking short to medium term, you might look more heavily at bonds, mutual funds and ETFs. If thinking longer term, stocks and real estate will give you a good return on investment (ROI)* (*subject to economic changes, inflation etc). There is no one size fits all with investments, and care should be taken so people don’t take advantage of you. Once you know what you’re interested in, start reading up about it, think about diversifying your investments and always think about the big picture before you put your money anywhere. Do your research, ask all the questions and be financially prepared to commit to your goals till the very end. 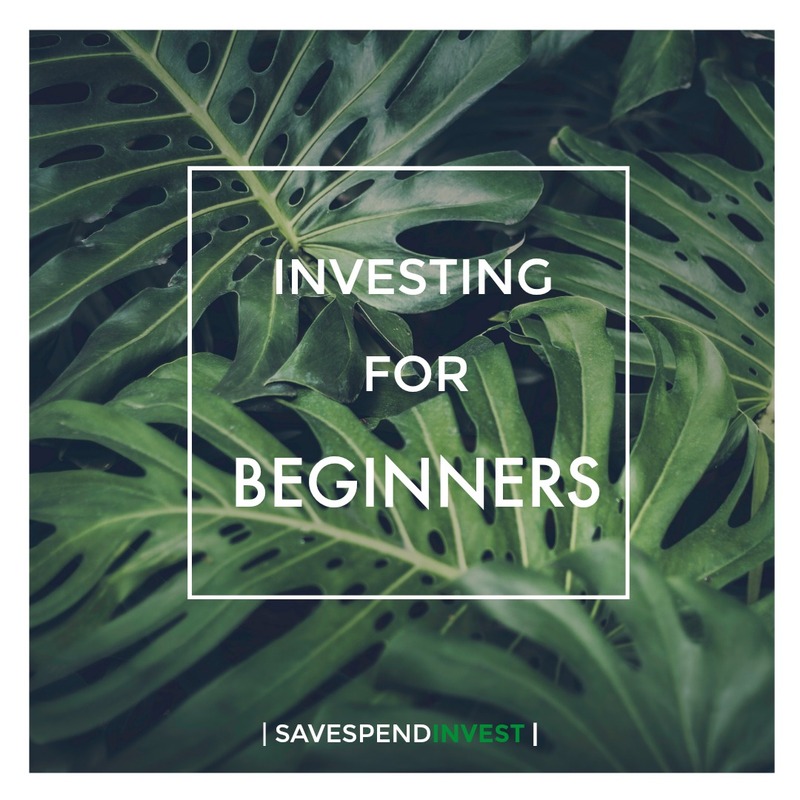 For more info or any questions, please get in touch at info@savespendinvest.co.uk.